UPDATED: Strictly speaking, it’s not correct to call Cape Town sports scientist Prof Tim Noakes’ low-carb, high-fat (LCHF) diet ‘Banting’, but he doesn’t mind if you do. The eponymous William Banting was fat – a heavily overweight, ailing British undertaker, and he ate low carbs on the advice of Dr William Harvey in 1862. Banting lost weight and felt great. Harvey wrote about it, but under pressure from medical colleagues, modified the diet into high-protein, low-fat. German physician Dr Wilhelm Ebstein took it to Europe, and changed to high-fat, low-carb after realising the key was replacing carbs with fat, not protein, as fat reduced hunger more effectively. So it’s more correct to call Noakes’ diet ‘Ebstein’, or ‘ketogenic’. Banting may stick in SA, where it is a culinary ‘revolution’, with Banting restaurants, meals and products popping up all over the place. That has had some doctors and dietitians frothing at the mouth, and looking on Noakes as SA’s next ‘Dr Death’. President of the Association for Dietetics in SA Claire Julsing Strydom has reported Noakes to the Health Professions Council of SA for telling a mother on Twitter that good foods for baby weaning are LCHF – in other words meat and veg. The hearing is looking like the nutrition equivalent of the Spanish inquisition, as orthodoxy seeks to silence Noakes and his heretical views once and for all. Whether they will succeed is anyone’s guess. What’s more certain is that Banting is going global , as evidence piles up in favour of its safety and efficacy to treat insulin resistance and for weightloss. Here, Noakes gives clarifying fundamentals, followed by an Idiot’s Guide to his LCHF diet. 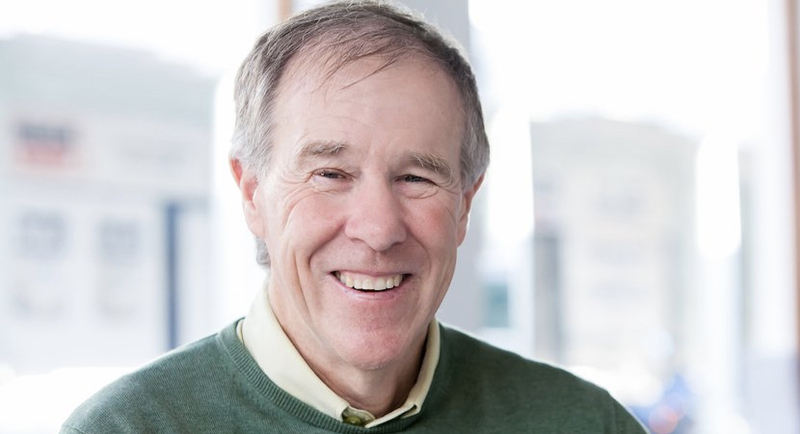 Cape Town sports scientist Prof Tim Noakes is in great shape. At 65, after four years on his low-carb, high-fat (LCHF) diet, his energy levels are stratospheric; his running has improved spectacularly. “I don’t run as fast as I ran in my 20s, but I’m running faster and further in training, and with more enjoyment than I did 20 years ago,” he says. He hasn’t gained a gram of the 20kg he lost in the first two years on the diet, and his health has improved. Noakes has type 2 diabetes (it’s in his family history) and developed it despite religiously eating the recommended high-carb, low-fat diet for 33 years that experts told him would prevent diabetes. He could probably do without medication to control it, but prefers to have “perfect blood glucose control’’. He sleeps like a baby and no longer snores – for which wife Marilyn is deeply grateful – and no longer falls asleep in front of the TV. All other ailments – recurring bronchitis, rhinitis, migraine, irritable bowel syndrome, and gastric reflux for which he was considering surgery – have disappeared. Controversy still peppers his diet, with some saying it’s unscientific and dangerous – and so is Noakes. The science for and against LCHF and Noakes was scrutinised by an international gathering of top LCHF scientists and researchers at the low-carb, high-fat summit in Cape Town from February 19 to 22. Noakes hosted the event with Karen Thomson, granddaughter of the late pioneering cardiac surgeon Prof Chris Barnard, and the cream of international LCHF medical and scientific experts on the speakers’ panel. No, Atkins is higher protein than ours. Ours is high-fat, moderate-protein. No. Paleo is low in carbs, but not as low as we go. It excludes cereals and dairy, but includes fruit, which we don’t, except for some berries that are high in nutrition and low in carbs. It’s probably more correct to call it Ebstein – after German physician Dr Wilhelm Ebstein who first made it high-fat. That was the diet Sir William Osler promoted in his monumental textbook: The Principles and Practices of Medicine, published in the US in 1892. Anyone who claims Banting or Ebstein diets are fads simply knows nothing about medical nutrition history. Nutrition did not begin in 1977 as our students seem to be taught. Any weighing of food on your diet? No. That’s a joke. You can’t predict accurately the absolute calorie content of foods when eaten by humans. You don’t know how many calories each person needs. The only way to work that out is by weighing yourself. If your weight stays stable, you’re eating the same number of calories you are expending. If you are lean, that’ll probably be the correct number of calories for your body and activity level. There’s no other way remotely accurate enough to measure your calorie needs. Only in that it’s extremely low in carbohydrate – the one nutrient for which humans have absolutely no essential requirement. In 1977, when we were told to eat diets extremely high in carbohydrates, human health started to fail on a global scale. Moderation is a smug, puritanical word. No mammal eats in moderation. In nature all diets are extreme – lions eat only meat, polar bears mainly fat, panda bears only bamboo shoots, giraffes only acacia leaves. Balance is what has worked for each of these species for millions of years. No diet is right for everyone. LCHF is best for people who are insulin resistant. 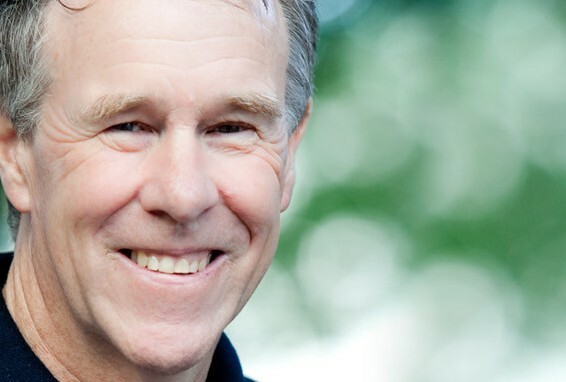 Critics say the Tim Noakes diet is dangerous because of high saturated fat. Is saturated fat ever a health threat? It can be, in the presence of a high carbohydrate/sugar diet that causes elevated insulin concentrations due to the excessive carb intake. Insulin directs an altered metabolism, with the formation of the damaging oxidised (LDL) cholesterol that is probably a key component in heart disease. To eat a diet that keeps blood insulin and glucose concentrations low, because elevated insulin concentrations especially are linked to long-term health problems. We say: eat what your appetite directs you to. Once you cut the carbs we think your brain will tell you if you need more fat or protein. It’s about finding the balance that works for you. On to the fundamentals when starting on your diet – what to cut out? Bread, potatoes, rice, pasta, pizza, sugar, all grains and cereals, processed, packaged, boxed, adulterated foods, cakes, sweets, biscuits, fizzy drinks, all the addictive things. Anything sweet and starchy has to go – and low-fat foods. Fat and protein. You can eat fat in relatively unlimited amounts, but only moderate protein. A healthy high-protein diet for humans doesn’t exist. If your diet was 100% protein, you’d quickly get sick and die. You can’t really overdose on fat; it reduces appetite, and it’s the best way to get over sugar addiction. Start with eggs, full-fat dairy, cheese, yoghurt – good fallback foods. Fish and chicken – with the skin, not battery fed – and some meat, preferably organic, or at least pasture-raised, not from animals raised in feed lots and fed grains, because that destroys the meat’s quality. Meat’s not a main focus, but we like lamb because it’s fatty and pasture fed. Boerwors is fine, but without cereal in it, and bacon, preferably not very smoked. Butter, cream – ladle meat and veg with butter; put cream in tea or coffee. Coconut oil, very healthy, everyone should have two tablespoons of it daily. Avocados. Nuts – almonds, walnuts, pecan nuts, especially macadamia nuts, they are like drops of fat – all tree nuts. Not peanuts or cashews. They’re legumes, not nuts. Only for people with diarrhoea, lactose intolerance, or who battle to lose weight – that happens mostly to women. It may well be that fat increases their hunger rather than satisfies it. We don’t know if it’s just an effect of saturated fat in some people. The easiest way to cut fat in that case is to cut dairy, and eat other sources of fat, such as oily fish, and avocado. nutrient content: leafy greens such as kale, it’s one of the most nutritious vegetables; also cauliflower, broccoli, they’re on our green list – (in The Real Meal Revolution, co-authored by Jonno Proudfoot, Sally-Ann Creed and David Grier). Can you be a vegetarian on your diet? Yes, if you eat dairy products, but we advise adding eggs and fish. Vegetarians who cheat can be incredibly healthy. You can’t be a vegan on your diet? Well, I know a vegan athlete, a former professional cyclist who eats 80% fat in his diet – lots of coconut oil and avos. It’s an extreme diet, but it works for him. Clearly his gut flora can handle it. I met someonewho eats only raw meat. We don’t know what the bacteria in their guts are doing, and how those bacteria might compensate for what we might perceive as intake “deficiencies”. What carb-fat-protein ratio is best? Depends on how sick you are. If you’re diabetic, we say 20% to 30% protein, 60% to 70% fat, 5% carbs. The sicker you are, the more fat you need, because fat is insulin neutral. The more insulin resistant you are, the more fat you can eat, because even when the pancreas fails, fat is the only fuel you can metabolise safely without requiring insulin. It’s perfect for blood sugar control. We don’t tell people how many grams to eat, except for carbs – around 25g if you are really sick. It’s a toxin, and slows weight loss on our diet significantly. We say: first lose the weight, and reintroduce alcohol in small amounts if you must. The diet is a fine line. If you don’t fall on the right side of the fat, protein, carb ratio, just one apple, a beer or two glasses of wine will put you on the wrong side, and you will not enjoy the benefits you should from cutting carbs. No sweet ‘cheat’ treats at all? A small piece of dark chocolate is fine, but many people can’t eat just one small piece – like smokers who can’t have one cigarette. The key is to get sugar out the diet. People don’t understand how addictive sugar is, or what it actually is – not just sucrose, the white stuff, also high-fructose corn syrup (HFCS) in processed foods. That’s what I classify as sugar, the really addictive one. If you can get people down to 25g of carbs a day for a few months with no added sugar, the brain no longer searches for sugar. That’s what makes our diet so successful. Nuts, biltong, cheese, coconut – I love coconut chips best of all. And fullcream yoghurt. Depends on how sick or obese you are. I’m diabetic, so in my opinion the less frequently I eat the better. I eat a big breakfast, snack a little at two in the afternoon and eat dinner at seven.